R.J. was born and raised in Texas. His father, M. Roy Stevens, was a preacher and a singing school teacher and gave him a good foundation in music and singing. From 1945 to 1951, R.J. studied music at Abilene Christian College, the University of Houston, and Oklahoma A & M College. 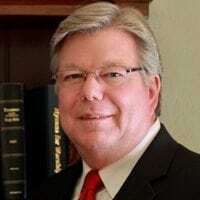 He served as a local evangelist for thirty-six years with churches of Christ in Texas, Oklahoma, and California. In 1983, he moved to Kemp, Texas to do full-time gospel meeting and singing school work. He taught singing schools for over fifty years. In 1987, he helped compile and edit the “Hymns for Worship” hymnal. He published the “Sight Singing and Song Directing” workbook which is used in singing school workshops. R. J. wrote and arranged hundreds of songs and hymns and this continues as one of his greatest legacies. He was a member of the Favorite Hymns Quartet for thirty years. He is also the founder of the Oklahoma Singing School. Since its beginning in 1984, R.J. guided and instructed hundreds of men, young and old, to become effective song worship leaders. His legacy continues to be active in song worship materials. Tim was born and raised in Texas. He was involved in music from an early age both in public schools and with R. J. Stevens, his father. In addition, he studied music at Florida College and San Bernardino Valley College. 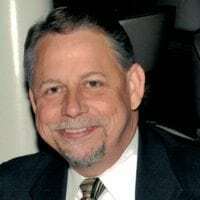 After graduating from Florida College in 1972, Tim completed a three-year apprenticeship with the Atchison, Topeka and Santa Fe Railway Co. in San Bernardino, California, and continued working for the railroad until 1989. From 1990 to 1997, he was the evangelist for the Rio Grande Valley church of Christ in Belen, New Mexico. He has been preaching in Kemp, Texas since 1997, where he also serves as an elder. In addition to local preaching and conducting gospel meetings, Tim holds singing schools in congregations around the country. Since 1989, he has served as an instructor of the Singing School. He and his father co-authored the “Rudiments of Sight Singing and Song Directing” workbook. Also, Tim was a member of the Favorite Hymns Quartet for thirty years and helped produce fifteen recordings. He continues to be involved with the editing, publishing and distribution of products for song leader training and congregational song worship. John hails from Texas where he has preached since 1974. He works with the Alston Rd. church in the Houston area. Also, he has helped encourage and guide young people since 1976 as director of the successful Florida College Dry Creek Camp in Louisiana. John has been a member of the Houston Symphony Chorus and has studied both the speaking and singing voice. Along with holding gospel meetings, he conducts singing schools with churches nationwide. He has also been a businessman and accountant. 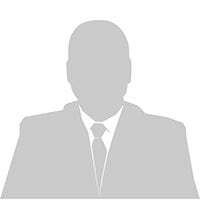 John has been with the Singing School since its inception in 1984 as business manager and treasurer as well as an instructor. He enjoys teaching vocal instruction, upper level song leading, and song worship preparation. Dane is a native Californian. Growing up he was involved in piano studies and choral and singing groups. In 1974, he received a degree in music from San Diego State University along with a secondary teaching credential and taught music in public schools for thirty-two years. In 1980, he graduated from California State University, Fullerton with a graduate degree in choral conducting. His studies included an analysis of hymnals used by the churches of Christ. 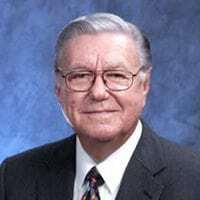 Later he worked with R. J. Stevens in the compiling, editing and publishing of “Hymns For Worship.” Dane has and continues to write and arrange hymns. He also worked with the Favorite Hymns Quartet as a member, director, and arranger. He and his family now reside in Blanchard, Oklahoma and they attend the Mustang church of Christ. In 1984, Dane was one of the charter faculty members of the Singing School and has continued to enjoy the privilege of working with R. J. and other dedicated teachers in this endeavor. Along with this, Dane holds meetings in song worship and congregational singing with churches throughout the nation. From time to time he writes articles regarding song leading and worship. He continues to be involved in the editing, compiling, and publishing of products for song worship and congregational singing. Allen grew up in Mississippi. He attended the University of Mississippi and studied Bible at Harding University. In 1980 he began preaching the gospel and in 1992, he became involved in evangelism in Asia. This included China, Indonesia, and especially Vietnam where he and his family lived for a few years. He now works with a congregation in Millersville, Tennessee, holds gospel meetings and singing schools, and continues to make trips to teach and encourage the Asian brethren. 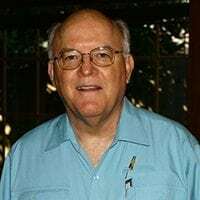 Allen came to the Oklahoma Singing School in 1991 (held at Eastern Oklahoma State College in Wilburton, OK) and became involved in a song leading class for boys under sixteen. As a result of this effort, many have been well prepared to begin leading and have advanced as students in the annual Oklahoma Singing School. Currently, he teaches first and second year song leading classes, but also continues teaching the song leading class for boys under sixteen. Glenda was raised in Arizona and has resided in Texas most of her life. Her background is in music education and has taught for many years in public schools. 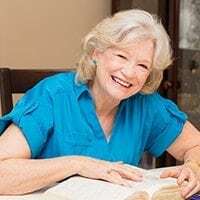 She attends the Kleinwood church of Christ in the Houston area where she is active in teaching children, especially in writing and composing songs designed to teach Bible themes, characters and events. In addition, she is well known for hymns and gospel songs and many have been included in various publications such as hymnals and congregational supplement books. The Singing School has benefited from the talents and devotion of Glenda for many years. She teaches a class involving children and their parents which includes learning music as well as the Bible through new songs and activities. Also she conducts a special women’s class involving the fundamentals of music and sight singing.